Sam Middleton of Chas. S. Middleton and Son is broker of record on this record-setting 510,527-acre listing. Bernard Uechtritz of Briggs Freeman Sotheby’s International Realty is overseeing the international marketing effort. This private retreat is set on 314 acres along the southern shore of Martha’s Vineyard. Available in its entirety or in smaller parcels. Grace Bloodwell and Charles Carlson of South Light Property have the listing. Click here to view the video. 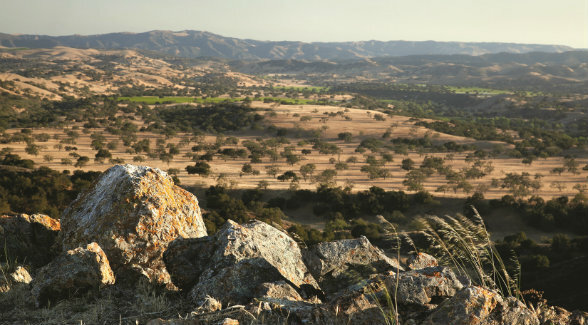 Millions know this 2,698-acre holding (pictured above) as Michael Jackson’s Neverland Ranch. Jeff Hyland of Hilton & Hyland and Suzanne Perkins and Harry Kolb of Sotheby’s International Realty Santa Barbara have the listing. This 25-acre East Hampton estate features an 18,000-square foot residence and 2,000 feet of Georgica Pond frontage. Listed with Frank Newbold and Ed Petrie of Sotheby’s International Realty and Mala Sander of the Corcoran Group. It’s hard to imagine more than 4,000 acres so close to a major metropolitan area, but that’s exactly the case with the Broken O, which is nestled less than half an hour outside of San Antonio. Listed with The duPerier Texas Land Man. The Y.O. is recognized as a world leader in the management and preservation of exotic game. This iconic 29,000± acre Texas spread has been shepherded by the Schreiner family since 1880. Robert Dullnig of Kuper Sotheby’s International Realty has the listing. This oceanfront parcel is on the market for the first time in three decades. Spanning 2,175 acres just west of Santa Barbara, Rancho Dos Pueblos is one of the largest remaining ranches along the Gaviota Coast. Kerry Mormann & Associates has the listing. Click here to view the video.